Jackson makes some of the best guitars in the world when it comes to heavy metal and hard rock. Classics like the Soloist, Dinky, Rhoads, King V, Kelly and Warrior have been responsible for the look and sound of metal for decades. For many metalheads, nothing but a Jackson will do. And that’s fine if you are an intermediate or advanced guitarist, playing in a band or seriously studying the instrument. But what about beginning and up-and-coming guitar players who can’t afford one of the high-end Jackson metal machines? What are you supposed to do when you need the look and sound of a quality metal guitar but you can't swing the cash? 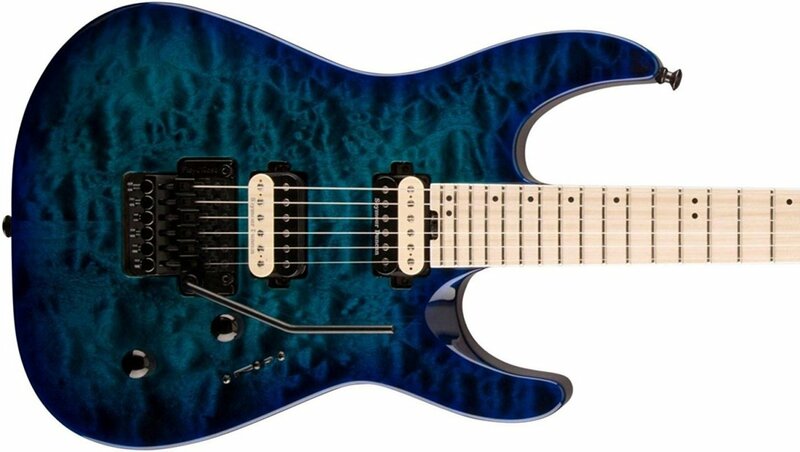 I can tell you what I would do: I'd be thinking about the Jackson JS32 Series. These instruments are versions of the same Jackson classics that have made the brand famous, but they come in at a price even a newbie can afford. The instruments in the Jackson JS32 Series lineup are some of the best metal guitars for beginners. New guitarists can start out right, playing a guitar with one of the top names in the industry on the headstock. But these things aren’t just for beginners. Intermediate-level and advanced guitarists can add a Jackson to their collection for a very reasonable price. In fact, when a friend of mine decided to scoop up a JS-Series Dinky I was super impressed with the build quality and sound. I’ve played many high-end Jacksons before and they are without equal for what they do, but these guitars give you much more than you’d expect for the price. So let’s take a look at some of the guitars in the affordable JS32 lineup! The Rhoads is one of the most famous Jackson designs, named after guitar legend Randy Rhoads. In fact, Rhoads played a key part in the development of the guitar before his untimely death back in 1982. In the JS Series you can choose from a version with a Floyd Rose tremolo, or one with a string-through body and Tune-o-matic-style bridge. In addition to powerful Jackson pickups, both versions feature a basswood body, maple neck and a 24-fret rosewood fingerboard.This is a tonewood combination we see throughout the JS32 lineup, and it works well. Basswood provides the depth and resonance you want for epic metal tone, and the combination of maple and rosewood brings some clarity to your sound. I have to say, in my opinion this is the most stunning guitar in the series. It is available in a Satin Gray finish which looks incredible enough, but there is also the option of black-and-white contrasting finishes. The Floyd Rose version has a black finish with white trim, and the hard-tail version has a white finish with black trim. Both feature two-tone pickups. These guitars are just gorgeous. Hear the Jackson JS32T Rhoads! 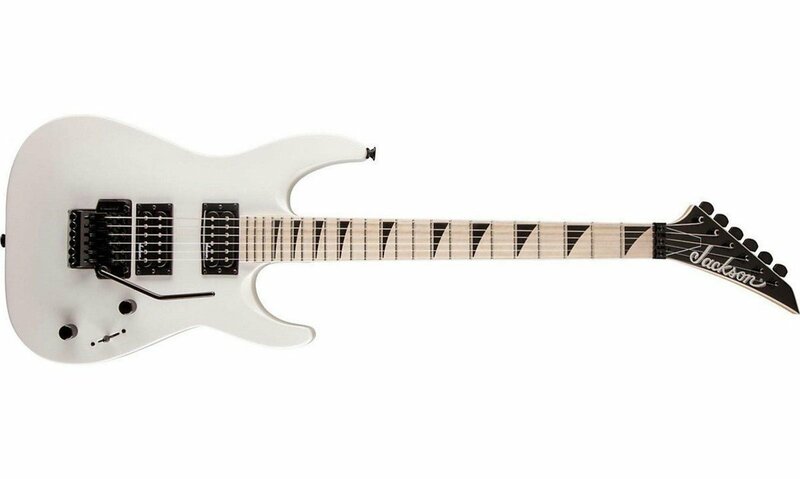 The Kelly is yet another classic in a long line of Jackson metal machines, most notably seen in the hands of shredder Marty Friedman during his time in Megadeth. In fact, Megadeth frontman Dave Mustaine played a Jackson King V at the same time. Of course Friedman and Mustaine played higher-end guitars, but these JS32 versions are pretty slick too. Expect the same classic basswood/maple/rosewood tonewood profile, hot humbuckers and fast neck seen in the other guitars in this series. 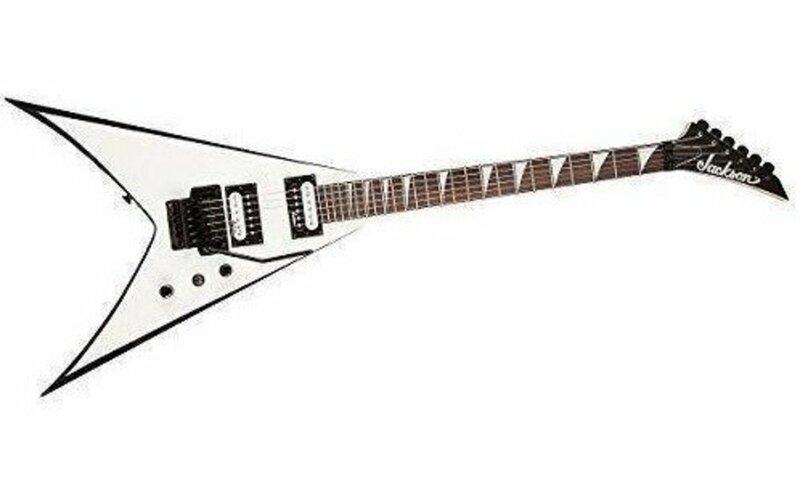 Of course the difference is the Kelly body style, which always looks a little to me like an axe, or maybe a sharpened Gibson Explorer. You have your choice of a Kelly with a Floyd Rose, or one with a string-through body. Both are available in classy black or white finishes. One of the coolest things about the JS Series is that they look like high-end guitars. Just because you’re a noob doesn’t mean you can’t play a slick-looking instrument! Or, if you are an advanced guitarist looking for an instrument to upgrade, these Jacksons provide a great starting point. The JS32 King V has the same tonewood profile as the other guitars in the series (basswood body, maple neck, rosewood fingerboard), as well as high-output Jackson pickups. There are many cool V-shaped guitars out there, but this one is a monster. It’s easy to see why Jackson thinks it is king of the Vs. There are versions out there with a Floyd Rose bridge, and others that come with a string-through body. Which is better anyway, string-through or Floyd? Here it is in a nutshell: The string-through design presents minimal hassle, better sustain, easier maintenance and string changes, and, if set up correctly, solid tuning. The Floyd, on the other hand, allows greater versatility in your playing due to its pitch-shifting capabilities. While tuning should be just as solid if the guitar is set up correctly, you will need learn to perform proper maintenance as it is a more complex bridge. The choice is up to you. Generally, my advice is unless you are really, really sure you need the Floyd, go with the string-through design. The Jackson Dinky features a slightly smaller body when compared to traditional super-strat style guitars, and a bolt-on neck. For these reasons, many rock and metal players choose the Dinky design over the Jackson Soloist, which has a larger body and neck-through build. It is one of the finest guitars for shredders out there. There are several versions of the Dinky in the JS Series at a few different price points. Some have arched tops, some Floyd Rose-style tremolos, and you can find them with rosewood or maple fingerboards. There are even 7 and 8-string Dinkys in the JS Series! If I have to pick a favorite of the lot, it’s the JS32 DKA-M. It features a bolt-on maple neck, maple fingerboard and arch-top basswood body for just the right mix of resonance and snap. You get a Jackson-branded Floyd Rose tremolo, a pair of high-output Jackson humbuckers and a 24-fret fingerboard with those awesome sharkfin inlays. This guitar looks amazing! Make sure your take a glance at all of the Dinky designs in the JS lineup, but if I were choosing one today, this would be it. The Warrior is perhaps the least-storied of all the guitars in this review. It certainly has never had the exposure of the Kelly, Rhoads, King V or Dinky, but nevertheless it is a guitar preferred by many metal players around the world. While the tonewoods, electronics and appointments are similar to other guitars in the JS32 Series, there are two notable differences here. The first is the wicked body shape. No doubt, of all the guitars mentioned here, this one would be of the most use if you suddenly need to fend off an angry crowd. Secondly, this guitar is available in both black and Ferrari Red. A Jackson Warrior in Ferrari Red is a pretty amazing-looking piece of machinery, in my humble opinion. I wouldn’t mind seeing that color option available for the Rhoads or the King V.
So which of these awesome guitars should you pick? They all have a very similar tonewood and electronics profiles. Basswood is a deep, resonant wood great for metal guitars. 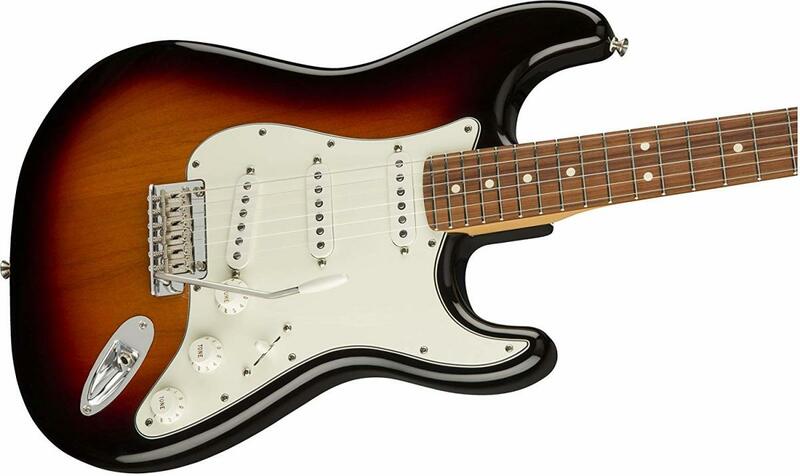 The maple neck adds some higher-end pop to the sound, and the rosewood fingerboard allows for round, full tones. The Dinky above has a maple fingerboard, which will cause notes to ring slightly brighter. The Jackson high-output pickups are made for high-gain metal. They're good quality for a guitar in this price range, but you can always swap them out eventually. Choose a model with a Jackson-branded Floyd Rose if you think you need the versatility of a whammy bar, or choose a string-through body for simplicity, sustain and ease of use. 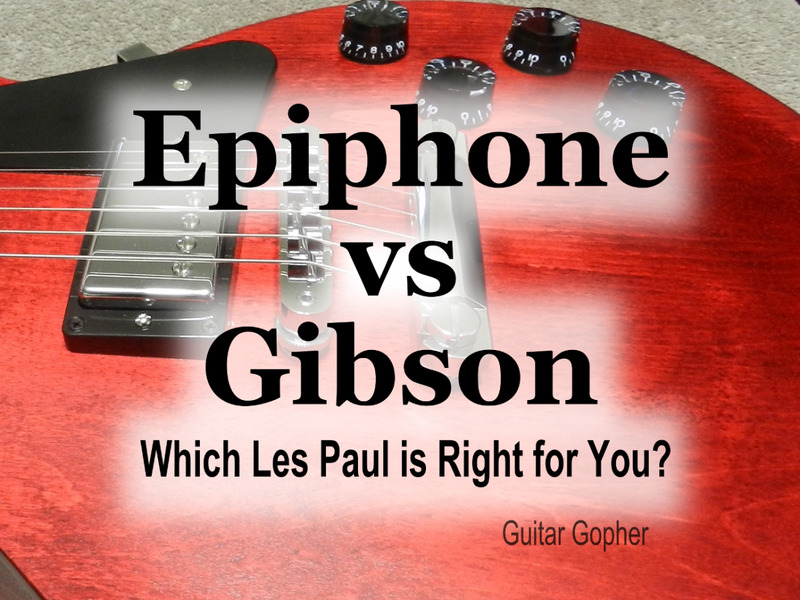 Otherwise, it pretty much comes down to which body style you like best. The choice is yours, but the good news is, at these prices you can own more than one! Which Jackson do you like best? 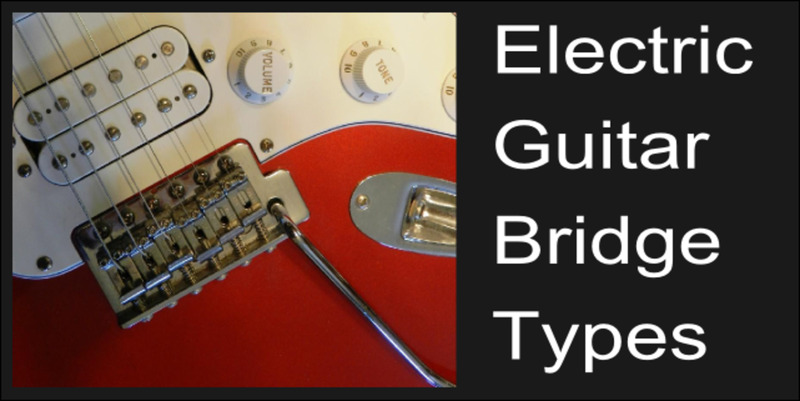 Electric Guitar Bridge Types: Which is Right for You? Jackson vs Ibanez vs ESP LTD vs Schecter: Metal Guitar Shootout! @Kris: From what I understand, the JS Series is manufacturered in China and/ or Indonesia. Don't let that turn you off, though. I think guitar players worry about that stuff a little too much sometimes. @Doug: That's a good point about relationships with sales staff at guitar shops. Unless something was obviously off, I've never tried to haggle with them. You want them to be happy to see you when you come in and (as you said) maybe point you in the direction of a good deal or two. I have owned and played a lot of electrics over 25 years and classical and acoustics as well. The Dinky series is cheap to buy used, play really well and can be set up easily to be fast and nice as well as good stock pickups (I have a HSS Strat type bolt on Dinky from SamAsh barely used for $150 full 'used' price). My tip: thank the sales guy and don't argue or chisel about price... keep it casual and 20-40 dollars is not worth a hassle. Make him remember you as that cool guy who knows his guitars, flips them, and who can set them up all the way. And he will be on the lookout can call you if something sharp ( a vintage Japan electric or classical) is about to be put on the 'used' rack !